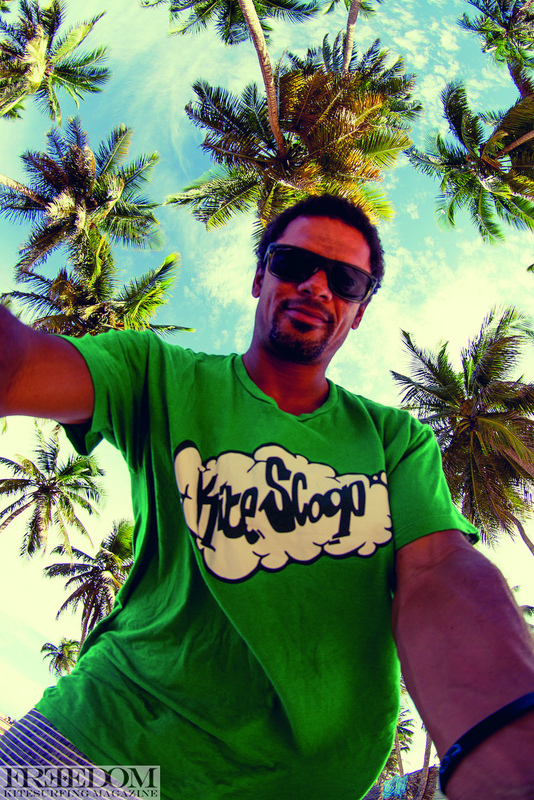 Andre Phillip Interview from Freedom Kitesurf Magazine Issue 1. 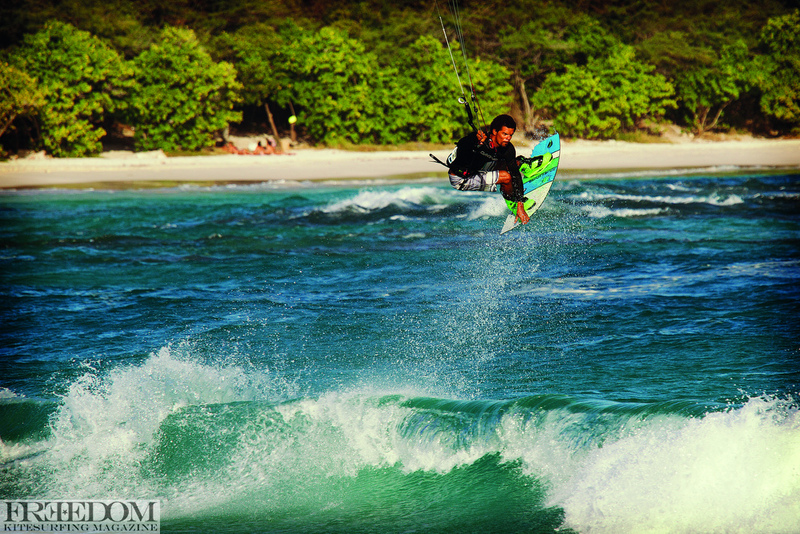 For those who missed Issue 1 we caught up with the official godfather of kiteboarding style – Andre Phillip. For those who saw Issue 1 here’s some RAD pics again! Issue 1 is still on sale here! A man who needs little introduction… if you haven’t seen this guy kite then you have been living on another planet. His fluid style makes every trick just look sick. Be it tweaked grab, hitting a rail, or just his swagger while doing a simple butter slide all just look like a piece of designer cake…. Last time I saw Dre was at 2005 Mambo. He was lying in the back of the Boarder Magazine van on the way to the hospital with a suspected deadly daddy long legs spider bite…. But now a few years down the track Dre is still kicking with his and friends very own brand of Twin Tip boards ~ TONA. Dre has bough his own style since day 1 and it’s still the coolest style in the sport! Not too bad, I stepped on something super-sharp in the ocean the other day so I got my foot up. I had to get some stitches, but other than that I am not too bad. That’s funny; the last time I saw you had your foot up too! What? No way, where was that? That was at the Mambo a few years ago. I think you got bitten by a spider or something crazy? Oh yeah, that’s right. Ha ha yeah I thought I was going to die, you know Australia has all those deadly creatures! But it was just a little staph infection. Well right now it’s off-season where I live in Antigua, which is hurricane season. Normally we get a couple of storms rolling through and score some surf but there haven’t been any storms this season so I’ve just been doing lots of good old work. Work? I thought you would just be sitting in hammocks drinking from coconuts all day long over there? Ha ha it’s all smoke and mirrors man! 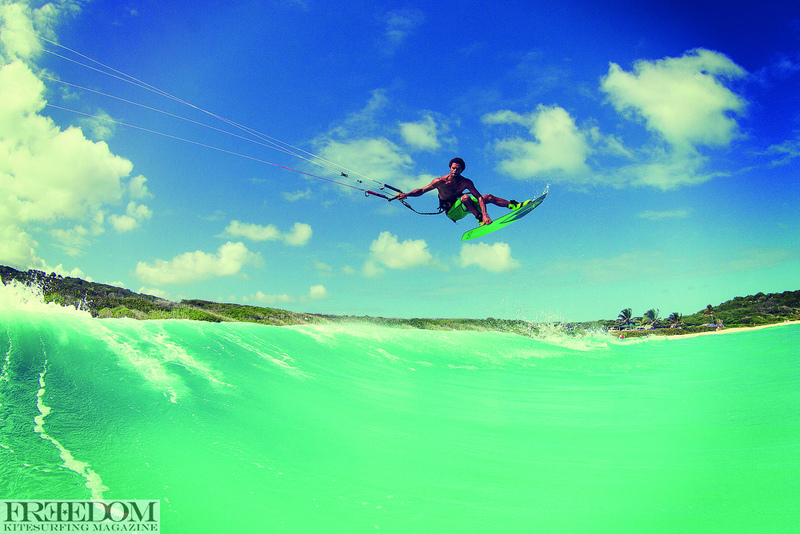 Out of all the different terrain you can ride while kiteboarding I’d say being out in the waves is my favourite. There’s something special about waves because they are always different and they naturally create a skatepark type terrain that’s constantly moving and changing. You have to keep your eyes peeled for where the next perfect transition or ramp is going to pop up so that you can harness that energy to either bank a fun turn on or have it throw you weightlessly into the sky. So when is your kiting season? Our season is pretty much from January to July and it’s pretty good around five days a week. I’m normally on a 10m or 12m, sometimes an 8m. Looks like a pretty amazing place? It’s cool, it’s cool. It’s got a nice, mellow vibe; it’s pretty small so you get that small-town vibe where everybody knows everybody, and everybody’s business. But it’s good; crystal clear water, warm weather and steady wind. What else could you ask for? Another one of my favourite places to kiteboard. Halfmoon Bay, Antigua. It’s a very fickle spot which only gets good a hand full of days out of the year but it’s well worth the wait. The main reason it is so fickle is because it’s a half-moon shaped bay with two big hills at either point, so the wind has to be coming straight into the bay otherwise it’s gusty. The cool thing about this spot is that there is a dumping beach break and when the wind is lined up it’s blowing directly onshore to the wave so it allows you to use the wave (ramp) just like you would a quarter pipe where you jump off the lip and land back on the wave for a soft landing. It’s quite a challenge but when you get it right the lip throws you airborne effortlessly and the landings can be so soft! So tell me about Tona and the team? We’re all from the Islands and we have all lived in Antigua for a good chunk, so that’s how we became close and got the chance to know each other. It’s just nice to work with people who are very like-minded and share the same values. We vibe really well together; we all love to kite and we all love to surf so it’s pretty easy to work together since we share the same passions. Adam Anton is a creative mind and he does all of our graphic work and Dereck Camacho has been shaping boards since he was 15 so he’s really good at translating ideas into products. The third piece of the puzzle is me. I’ve been involved in the industry since 1999 and have been lucky enough to travel the world and get a feel for the sport from all different perspectives. I can bring all of the knowledge gained over the years to the table to try to help Tona make good decisions. 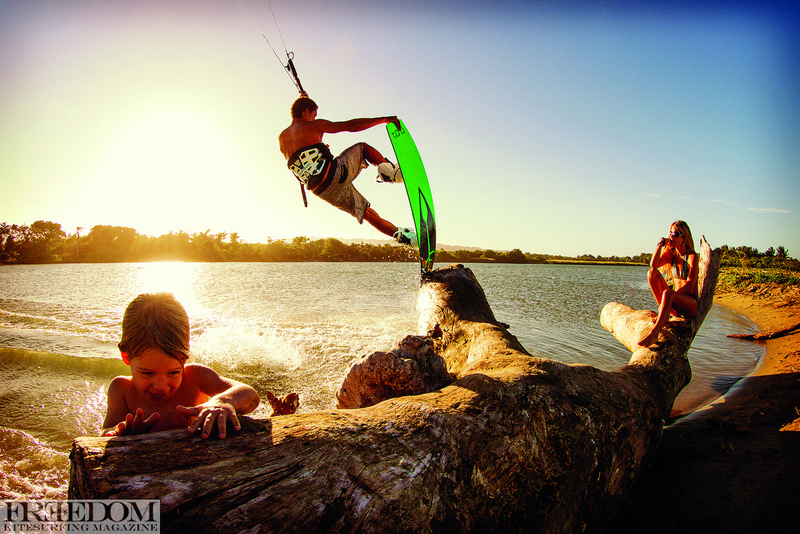 The bottom line is we all care about kiteboarding and the industry; we aren’t here to push gimmicks down people’s throats just to make a buck. We wanna see the industry do well and will try to do our part to help. We wanna make fun stuff and stoke people out. The Tona plank is actually a slider that was recycled from another slider that got shredded in a storm. The mashed up pieces sat in the bush for a year until I decided we should bring it back to life… It’s amazing what some screws, fresh paint and some elbow grease can do. I like building and sliding across stuff because it’s fun and ads a different feeling, sensation and challenge than your “normal” day of kiteboarding. 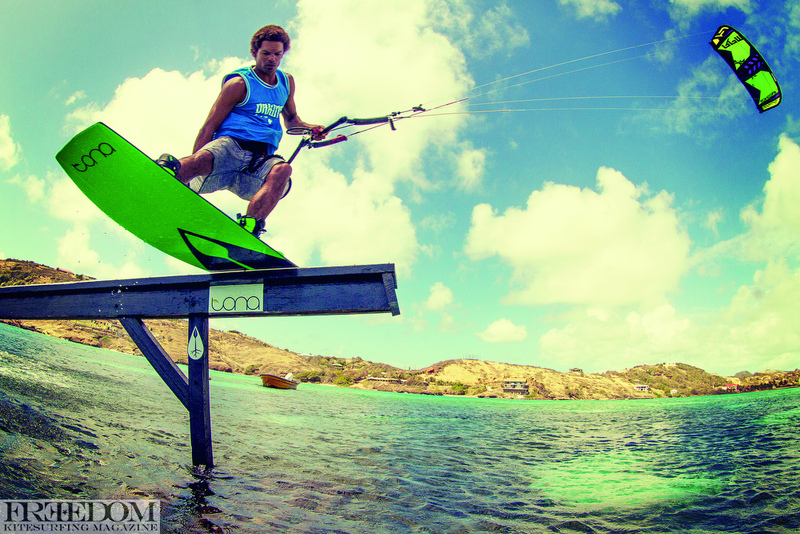 I’ve been kiteboarding for 15 years now and this is one of the ways that helps me keep kiteboarding fresh and exciting. 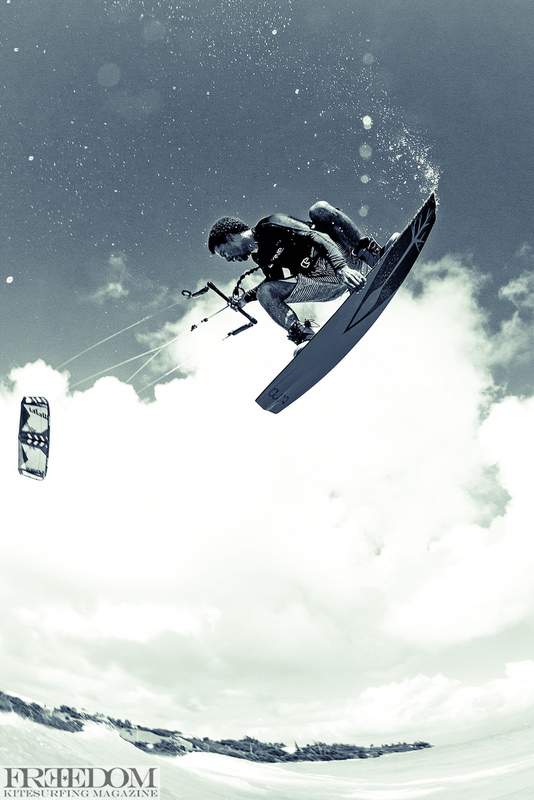 There are so many different things you can do while being pulled by a kite and so if you ever feel like you are getting bored then just try something different, switch it up from time to time, ride a kiteskate, get out in the surf, ride a foil, build and shred stuff. That’s similar to this new magazine we have started up – we too have known each other a long time and have a shared passion grounded in kiting. We’ve all developed different skills in the business over the years and when you all put your minds and skill sets together you can come up with some cool stuff! Nice that sounds good I’m stoked that you guys are doing this! Thanks, I’m stoked on your new boards; they look great. Nice graphics too. Tell us about the two different models? Okay, well the Flow is great in the waves and natural kickers. It’s got quite a bit of rocker that results in some soft landings. It eats through chop and is a really nice, soft, cushy ride. I’ve got quite a bit of a surf background and I could just throw carves all day which this board is really good for. Sweet for loading and popping too, I mean if you’re into surfing but like riding twin-tips as well, you’ll really like it. It’s a really good crossover board if you’re hitting the cable a lot too. The Pop, in a nutshell, is fast and explosive; when you edge and put it on rail it really locks in and holds a good line. Huge pop of course as is the name. The Pop and the Flow really compliment each other quite well; they are both high-performance boards, just depends on your riding style as to which one you will go for. Jake Kelsick and I spotted this log and instantly thought it would be fun to do stalls on but at the time we saw it there was a Russian family fishing from it. We tried to communicate to them that we want to kiteboard on the log but there was a serious language barrier and I don’t think they understood what we meant but still they gave the universal nod of approval. So Jake rigged up to get a few hits in and instantly after the first stall the Russian father turned militant and he was shouting for us to leave, he even laid across the log where we wanted to stall on. We thought wow this guy is a real douche but fair enough, maybe his nod was okaying something different, so we gave them their space and went further downstream to go have fun in the flat water. The next day Jake and I show up early to session the log and we were stoked to find no one around. As we started to rig up the old grumpy Russian fella comes around the corner with his family and they are heading straight for the log. So this time I climbed on the log and claimed it. He was pretty pissed off but Jake and I just laughed because he was getting a taste of his own medicine. Anyways the log did end up being fun for doing stalls on and it looks like the Meyer’s didn’t mind sharing. They sound great, keen to try one myself – I love twin-tip riding in the waves so I think I’d go the flow. How about the Slingshot kites? Which model do you ride? I mainly fly the RPMs for all types of riding but when the conditions are perfect and I’m doing only freestyle, then sometimes I use the Fuels. I love the RPMs for their very smooth, consistent and predictable pull. Whenever I crash my kite, relaunching it is effortless and there is such a big range with the de-power. So tell me, you’ve been throwing the radest tricks for years, how is it that you’re still in one piece? To tell you the truth, I really don’t know! I’ve had a couple of mean wipeouts but I’ve never really broken anything. These days I try to take it a little bit easier as I’m getting older. I’d like to be doing this the rest of my life so I’m not really trying to huck myself too much anymore. I’ve gotten away with a few close calls. It helps to ride a little bit safe and smart sometimes. Well done. There are a lot of guys half your age that have already blown themselves out with injuries, which is sad but it must be a tricky thing as you want to shred, go hard and impress people but you want to look after your body too? It’s definitely one of those things. You know, the older you get, the more you think about it – being out for the count. You’re thinking down the line, ‘how will I feel in another 10 years?’ Not like the early days when you just huck as hard as you can. I guess I’ve always tried to find that fine line between hucking and control.